The MacBook, MacBook Pro, and MacBook Air each have a Mini DisplayPort that allows you to connect an external display or projector using an adapter. You can use an external display as your main workspace or to extend your desktop, or you can work in mirrored mode with a projector so you can view what your audience sees. Use the Mini DisplayPort to VGA adapter to connect your MacBook, MacBook Pro, or MacBook Air to a standard analog monitor, projector, or LCD that uses a VGA connector or cable. DVI to VGA Adapter. DVI-I Female to VGA Male adapter. Used to convert from DVI-I or DVI-A to VGA. DVI-I female connector and VGA male connector. Please note this adapter cannot be used to convert DVI-D connections, the DVI connection must be DVI-I or DVI-A. 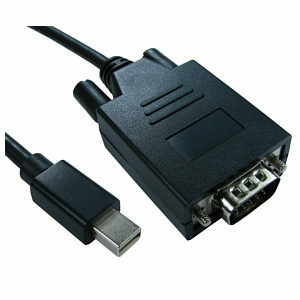 Displayport to VGA adapter, display port male to VGA female. Display Port v1.1 compliant. High quality digital video transmission. Embedded clock architecture to reduce EMI susceptibility. Supports resolutions greater than QXGA (2048 x 1536) at 24-bit colour depths. Supports existing VESA and CEA standards. Supports hot plug detection as well as link status failure. 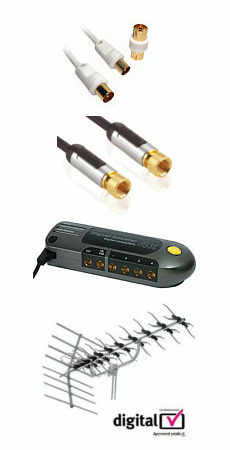 Supports a minimum of 1080p resolution at 24bpp, 50/60 Hz at 15 metres. Supports Display Port signal to VGA signal. Supports video bandwidth up to 10.8Gbps. Connector : 20pin Display Port to 15pin VGA.